By guest writer | February 8, 2019 | This post may contain affiliate links, which means we may receive a small commission, at no cost to you, if you make a purchase through a link. Read our Disclosure. 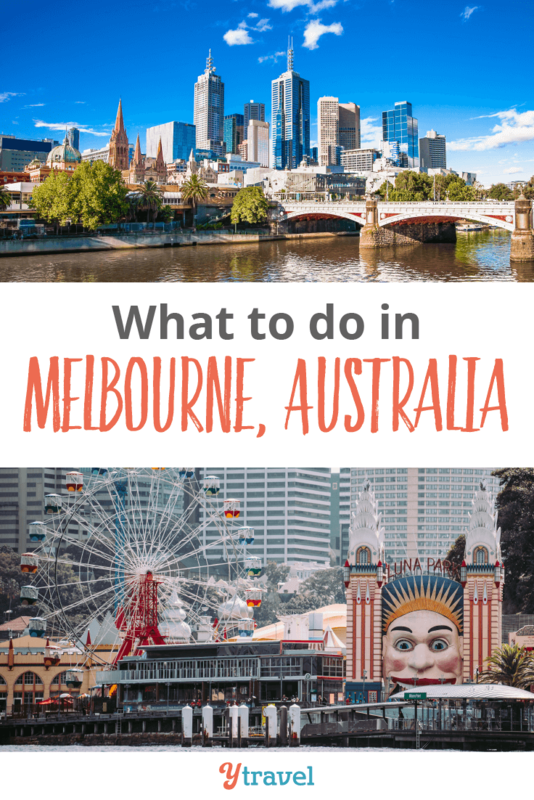 Looking for tips on what to do in Melbourne? As part of our city guides series, we interviewed Steve Davidson who has lived in Melbourne for almost 12 years. 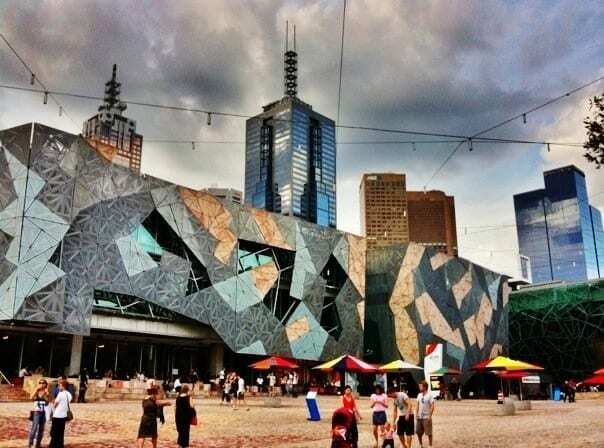 Steve shares with us his insider knowledge on things to do in Melbourne for those looking for the best places to eat, sleep, drink, shop and explore. There really is something for everyone here, no matter what your budget or tastes are. The streets are very easy to navigate, and the city’s laneways offer a shopping and dining experience like no other city in Australia. The inner suburbs also offer an array of shopping and dining experiences, especially along shopping strips like Chapel and Fitzroy Streets and Sydney and Bridge Roads. Also, it is a well known fact among Australians that we have the best coffee in the country. A personal favourite is St Kilda Pier at dusk, when the fairy penguins come in and bring smiles to everyone who sees them. Why go to Phillip Island for the penguin parade when there is a free one right in the city? For shopping, I love the city laneways, especially between Flinders, Elizabeth, Bourke and Swanston Streets. Little Collins Street is also very good for relieving you of some of your cash. Eureka Tower is a must see for anyone in the city. It offers stunning views from the highest observation deck in the southern hemisphere, at 297 metres/88 floors. If you’re here during the AFL (Australian Football League) season, you must check out a game. The atmosphere in the massive MCG is unlike anything else in this country. The city centre is actually pretty good. I also like St Kilda for the outdoor dining and bars, many with bay views. Brunswick is great if you want to experience a bit of the Middle East, with small markets, affordable restaurants with delicious food. I like Fitzroy for the cafes and restaurants, not to mention all of the boutique shops, many catering for a hip crowd. Richmond and Prahran are also alright, but a little more expensive than the others. They are quite popular with the locals though. For budget, I would recommend any beer garden on a Sunday afternoon offering a free BBQ – these are quite widespread over the summer months. Lucky Coq (Chapel Street, Prahran) and Bimbo Deluxe (Fitzroy) offer very cheap pizzas, and I am a huge fan. Don Dons on Swanston Street, near Melbourne Central, offers very affordable and tasty Japanese fare – and lightning fast service. For stylish, I’d recommend Eureka 89 and Vue De Monde – mainly because I love a good view from high above the city. For stylish yet casual, I’d recommend anywhere on Little Collins Street from Swanston Street, up to Spring Street. Terra Rosa is a personal favourite of mine along this strip. In the city, you’ve got Red Hummingbird, The Workshop, Rooftop Bar, Cookie and many others. For pubs, my personal favourites are along Sydney Road – The Penny Black, The Retreat and the Cornish Arms Hotel. Definitely any of the suburban bars and pubs mentioned above. I personally love The Penny Black because they also offer a Sunday roast for those wishing to enjoy a nice, traditional Sunday meal. I’ve never been disappointed with the food, drink, or atmosphere there on a Sunday. And, it’s good all year round, with outdoor heating and protection from the elements in winter. I also like checking out the bars along Chapel Street – many offer discounted meals with each drinks purchase. The people are relaxed and happy on a Sunday. I’ve only good things to say about my Sunday sessions. This very much depends on your preferences. There is so much diversity. Bimbo Deluxe has always been a place where I’ve had great nights – with an outdoor beer garden on the rooftop, dance floor, dining area and lots of comfy couches. This one is for the younger people who like to dance to music other than what’s on the radio. If you like hip-hop, Bond Lounge in the city is the place to be. There are also many great options in St Kilda, the city, Fitzroy and along Chapel Street. There truly is something for everyone. For places to stay in Melbourne choose from the largest range of hotels, apartments, and guesthouses with our partner Booking.com. You get free cancelation on most rooms, and in most cases you only pay when you stay. The city is laid out on a very easy to navigate grid. The public transport system will get you to anywhere you may need to go, despite the odd cancellation. If you’re heading to St Kilda, get the 96 tram – it runs express along an old train line, and will save you quite a bit of time. The Queen Victoria Markets, despite it’s reputation, does not really offer anything for the average tourist, in my opinion (other than to say you’ve been there). I do my meat and fruit shopping there though, so it may be handy if you’re staying in a serviced apartment and wanting to save a lot of money on the essentials. Rose Street Markets, in Fitzroy, are known as The Artist’s Market. It is small compared to other markets, but I really like the range of clothing, accessories and art available there. They also sell some pretty nice coffee! As above, there are many shopping areas to choose from – this really is the shopping capital of Australia, with something for everyone. There are also other markets at St Kilda on a Sunday, as well as the ones at the Arts Centre. Chadstone in the suburbs is worth a visit if you like massive shopping centres. It may be a little tricky to get to via public transport though. There are heaps. The Comedy Festival, through April, is fantastic for seeing world famous (and up and coming) comedians live. The Moomba Festival (on the Labour Day long weekend in March) offers a carnival experience right in the city, with a highlight for me being the annual parade down Swanston Street, and the Birdman Rally. The latter just has to be seen to be believed. Spring Horse Racing Carnival in early November is what I consider to be the unofficial start of summer, with a whole week of horse racing at Flemington, the highlight being the Melbourne Cup. I highly recommend everyone to go and experience this once in their lives. We also have the Grand Prix and the Australian Tennis Open…there is something big on pretty much all year round. Daylesford to the north is a beautiful country town, just over an hours drive away. There is great food and the Sunday markets are also worth the trip, along with the nearby Chocolate Mill. This is an excellent place to visit any time of the year, though it is generally a little colder than Melbourne most of the time. Autumn to early winter. 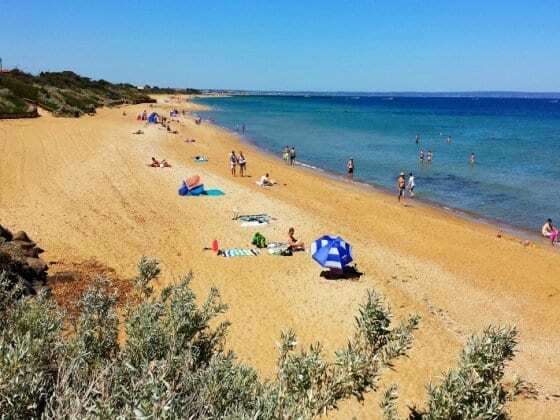 The weather is at it’s sunniest at this time of year, and there is generally a lack of weather extremes that occasionally hit in summer and winter. Having said that, the weather is no where near as bad as other Australians would have you believe. I love this city all year round. There really are only a couple of options for those without a car. The Sky-Bus offers a regular shuttle service 24/7 direct to Southern Cross Station in the city. They also offer a hotel drop off and pick up service – ask for details at the counter. A taxi to the city costs around $50-$60, depending on what time of day you’re travelling. I am generally very happy to stick with the Sky-Bus, unless I have returned from a long day at work interstate. Hmm…this is a tricky one. Definitely check out the city’s laneways for some shopping bargains, along with Smith Street, Collingwood for some decent factory outlets. Avoid the DFO outlets and Docklands’ Harbour Town. In my observation, the items on “sale” there are more expensive than the major city department stores, although the rare occasional bargain may be found. A map. There are several “City Ambassadors” – wearing their distinctive red outfits, on many of the main intersections in the city. The locals are also only too happy to recommend things to see and do, and give you directions on how to get there. This city is very easy to navigate. Booking.com has over 500 properties in Melbourne including hotels, apartments, and hostels. You get free cancellation on most rooms and a best price guarantee. Skyscanner is a comparison website that searches millions of flights. Once you find your best deal, you book directly through the airline or agent (no extra fees). RentalCars.com is the world’s biggest car rental booking service that compares all the major brands like Hertz, Avis, Alamo, Enterprise, Europcar and Thrifty. BIO – Steve Davidson moved down to Melbourne from tropical Queensland almost 12 years ago. He first visited Melbourne in the winter time (deliberately) to see if it was as miserable as everyone says it is. He ended up falling in love with the city. You can follow Steve on twitter and connect with him on facebook. Do you have any tips on what to do in Melbourne? Share in the comments below. 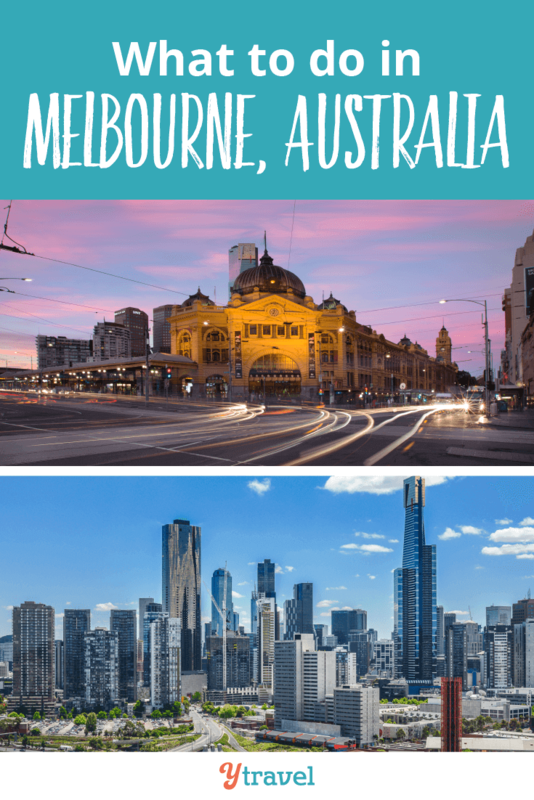 HELP – What should we do in Melbourne and Victoria? Great article, as I mentioned in your earlier post about why so few Americans visit Australia, they need to be enticed and “Lured” into it. Basically, educating them. This article is an excellent example. Too bad the media can’t jump on board a little more. First time I have heard of the “City Ambassadors” cool idea anf proves all of Yanks have something to learn. 🙂 Now too those Ice Cold looking Brew at Ponyfish Island…. An an American getting ready to visit Melbourne in 10 days, it comes down to cost. It’s not that Americans don’t want to come to Australia, quite the opposite. If you’ve got kids visiting the City we love, our website is dedicated to Places to Visit and things to do, see, eat, play, create & explore with babies, toddlers & kids. The four-seasons-in-one-day weather just adds to the adventure! This is one of the best city of Australia. Because of the beautiful sights here. I will surely visit this amazing city someday. Thanks for the tips. I only live a hour’s train ride away from Melbourne and I love going up for the day and pretending to be a tourist. I love checking out the ‘street art’ (aka graffiti) especially in Hosier Lane which is constantly changing. Ah yes, Hosier lane, one of my favourites too – can’t believe I forgot to include photos of that in my roundup. Definitely a must see for anyone into that scene (and perhaps even for those who aren’t). Great list. Thank you very much. Now we know what to do in Melbourne, Australia. I just came back from Melbourne a few weeks ago, went to see the Tennis Open and I’ve found the city amazing. I want to come back to experience more. great place ! The same reason for me. I love Ozzy Open. The best Grand Slam! I have really enjoyed reading your blog posts they fascinated me. 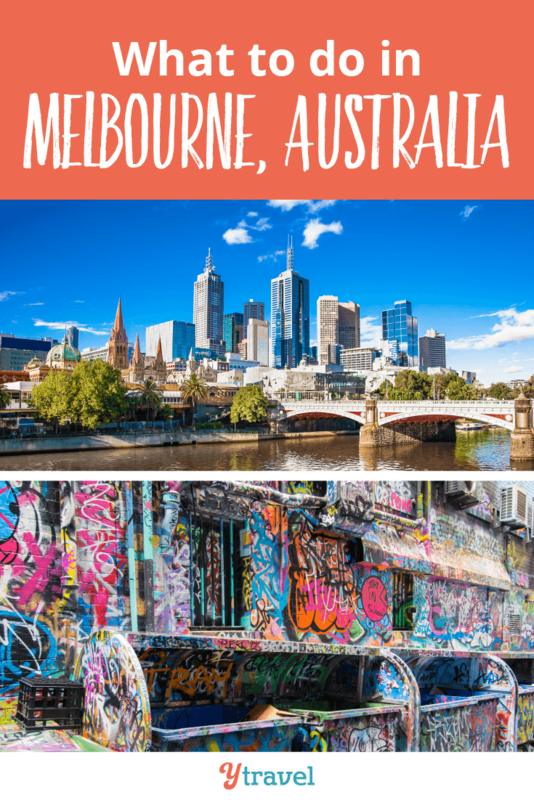 Well, I’ve now added Melbourne to my travel to-do list. Me and a friend went to Australia a few years ago. We flew into Melbourne just in time for the Grand Prix – being massive petrol heads. We were going to be in Australia, backpacking for a whole year and had planned to leave Melbourne soon after the Grand Prix was over so we could see the rest of the country… 3 months later we still hadn’t left Melbourne yet. It really is the best city in the World – End of. We spent another Month in Melbourne at the end of our trip before we came home to Sunny England too… Got to see the Australian Open Tennis which was awesome. Also went to The St Kilda Festival, Moomba festival, and the Comedy Festival, plus we celebrated Australia Day there and the Chinese New Year. Love the place so much. So awesome Chris! I love it when you end up staying in a place so much longer than you planned and not regretting it. That is exactly what travel is about. It always amazes me that there are penguins in Melbourne. I’d love to visit. That means there is a lot to do in Melbourne.I really wanna go there now! In summer one great way to enjoy St.Kilda beach is to go from one end of Alcand street to the other and eat a cake and each of the many fantastic cake shops that street has. I’ve never been able to get past three cake shops before i’m full. Re Melbourne airport… For the cheap-arses among us, there is a relatively new and much cheaper way into the city than the 20 minute $17 Skybus journey, though of course it takes longer (about 60 minutes). This is how it works. On leaving the airport terminals, turn right and walk about 500 metres, all the way past the separate Terminal 4 where Tiger flies from. You’ll eventually reach a regular suburban bus stop – this is where the airport has hidden it in the hope that travellers will never find it. Here you catch the 901 bus, which leaves every 15 minutes from about 5am to midnight. Buy a 2-hour Zone 1+2 ticket from the driver, or if you have the new Myki smartcard just touch on via the validator inside the door. When the bus reaches Broadmeadows train station, get out and walk through the underpass to Platform 1. From here a train will take you straight to the city centre. The fare for the Metcard ticket from the bus driver is $6.50, and has the advantage of being able to be used on all public transport for the duration of the two hours – so you could transfer to a tram when you reach the city centre, for example. Metcard tickets will be removed at the end of 2012 in favour of the already-running Myki smartcard system; presumably by then you’ll be able to buy Myki cards at the airport, though they’re not available there yet. The Myki fare is even cheaper – just $5.54 for 2 hours. Even better, on Saturday & Sunday the Myki fare is only $3.30 for all-day travel. The catch is that you must buy the Myki card for $6 and top it up with credit to be able to use it; though of course you’ll be able to keep using it during your stay in Melbourne, and keep it for use on any future visits. Oh yes! I have actually taken the 901 before back to the city. It will get you home (with connecting services) no matter where you live in Melbourne. It takes a bit longer (being a suburban service) but is definitely worth trying if you’re not in a mad rush. Thanks for adding that tip for everyone! The other thing is that the 901+train option gets you straight into the “being in Melbourne” experience – you can eavesdrop on some pretty entertaining conversations on the train from Broady. Ahhhhhh, Melbourne. The first city I went to in Australia and one that I loved the most. I stayed in St. Kilda and I have to agree with how Fitzroy is full of great restaurants. Melbourne truly is the foodie and art lover’s city. I visited Melbourne several years ago and did the tour of the Tennis stadium. I’m not the biggest fan of the sport but I found it really interesting from sitting in the press room to seeing the trophy cabinets. I was only in the city for a couple of days and I don’t think I got to see the best of it and would love to take the tram out to St Kilda for the day. Thanks for the trip advisory. These will be very helpful when I visit Australia two years from now. 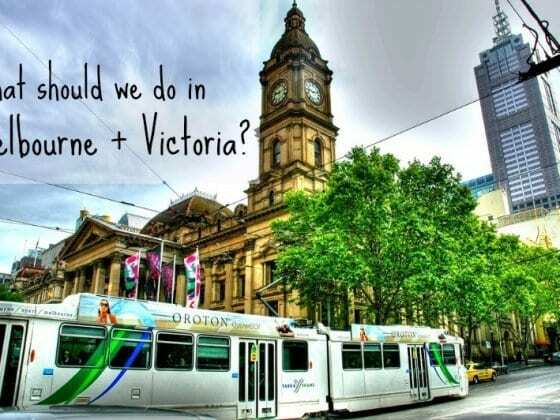 Being from Hobart, Melbourne is my “big” city, and I agree – some fantastic tips here! I also love St Andrews community market on Saturdays (although it takes a bit of work to get there by public transport.) Yikes… you maybe even made me a little homesick for Melbourne Town! Can’t wait to move to Melbourne at the end of this year! I’ve heard so many good things about it! Thanks so much for so many awesome tips! I have heard many things about Australia. But after reading the above post I realized that it was nothing. There are so many things to explore. Can you give me an idea about a manageable travel budget for 10 – 15 days? sorry for the *very* late reply – I feel a budget of $100 would be enough to cover everything if you were to stay in Melbourne (except accommodation – though possibly could be done within this too if you stay at a hostel etc). many attractions are free, and public transport is extensive. This is such a wealth of a post, so much information. Will be very useful when I travel there. I’m hope your trip was/will be wonderful! Totally excited reading about your Melbourne top-tips! The next few months will be consumed with planning and also obsessively reading everything i can about oz! Are there any special events happening between June 20th and July 8th in Melbourne, AU? Miss Melbourne, what a town. More Greeks than in Athens. Multi Cultural, stylish, original and real… thanks for the bonza write up! A trip to Victoria Market for some food and then a short tram ride back to the City. Walk to the Yarra River and a BBQ on the river bank in Summer. Perfect Melbourne. We have lived in Melbourne almost a year and we are hooked. So much to see. So much to do. Amazing city. Well, talking about “Sidetrips” when in Melbourne, my favourite is a day trip to the “Yarra Valley” – especially if you start it with a daybreak hot air balloon ride! The view of the valley from up top is just truly magnificent! Another great restaurant in the city, although it’s more for couples, it’s felt (https://www.hotellindrum.com.au/dining/felt-restaurant/) I’m recommending it mostly because I am a huge fan of billiard and this place is packed with memorabilia and the bar next door is great for beer and shooting pool. I like day trips on public transport. Art galleries Museums, historical sites and gardens would be nice. Just got back from Melbourne last week. I meant to leave a comment earlier but this post was incredibly helpful! Visited a number of the places mentioned here, St. Kilda and Fitzroy were probably my favorite neighborhoods. And coming from Chicago, where you want to avoid alley at pretty much all costs, the laneways were really fun and exciting to explore. This was a awesome read for anyone who needs guidance for their Melbourne trip and they can easily access those travel spot places.